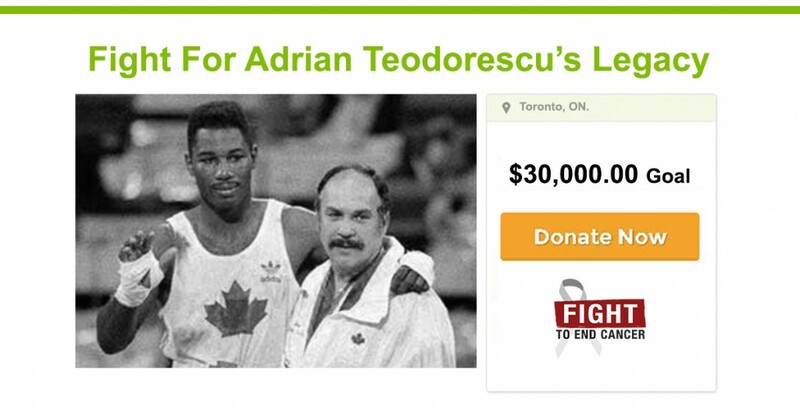 I first met boxing coach Adrian Teodorescu in the mid 1980’s when he opened a gym on The West Mall in Etobicoke. After giving us a tour, Teodorescu opened a closet to reveal a mattress and sleeping bags on the floor. He explained matter-of-factly that a couple of his fighters from out of town lived in the closet and it was an ideal set up because they didn’t have far to travel to the gym … about 12 feet as a matter of fact. He then showed us the hot plate the fighters used to cook their food and the fridge where they stored their drinks. “You see,” Teodorescu said, in his thick Romanian accent. “It’s perfect”, though the city’s bylaw department might have disagreed. But as Domenic Filane, one of his former fighters said this week, Teodorescu was old-school. Why make a poor kid from out of town pay rent when they can sleep in the gym closet for free? Sadly for Filane and others in the Canadian boxing community, Teodorescu passed away on Wednesday at Toronto’s Mt. Sinai Hospital after a battle with Lymphoma. He was 73. 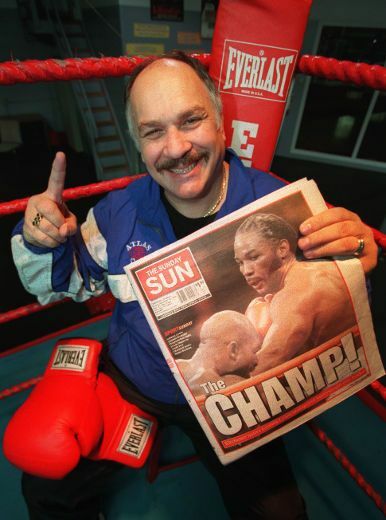 Teodorescu ran the famed Atlas Boxing Club near Yorkdale Mall with his wife Gina and son Armand and was considered one of the best amateur boxing coaches, not only in Canada, but in the world. One of Teodorescu’s boxers who slept at the gym was future world professional super bantamweight champion Steve Molitor, who came from Sarnia to train with Teodorescu as an amateur. Molitor and Filane, a two-time Olympian and Commonwealth Games medallist, were two of many Canadian fighters who enjoyed tremendous international success under Teodorescu, who has had more success at Olympic Games than any coach in Canadian boxing history. He has had a hand in every medal won by Canada in Olympic boxing since 1988 — including helping to guide Lennox Lewis to the super-heavyweight title at the 1988 Seoul Games. Other boxers who trained under the “Romanian dictator” (as Teodorescu jokingly described himself) and won medals at Olympics included middleweight Egerton Marcus in Seoul (1988) and middleweight Chris Johnson and light-welterweight Marc Leduc in Barcelona (1992). Teodorescu also coached boxers who won other major competitions, including Kitchener’s Mandy Bujold and Arthur Biyarslanov — gold medallists at the 2015 Toronto Pan Am Games. Bujold was one of many who began boxing in towns outside of Toronto and gravitated to the Atlas Gym to train under Teodorescu when their career needed a final push. “I had the opportunity to spend the last 31/2 years with him just about every day and his passion and love for the sport rubbed off on me,” said Bujold, who realized how seriously ill her coach was when she began training again at the Atlas following this summer’s Rio Olympics. Lewis, who after winning the 1988 Olympics went on to capture the heavyweight championship of the world, was originally coached by Arnie Boehm in Kitchener as a teenager when he arrived from his native England. But it was Teodorescu who helped Lewis take that next step to an Olympic gold. Lewis said last year that he couldn’t have imagined not having Teodorescu in his corner in Seoul. Despite his success, Teodorescu was often at odds with the hierarchy at Boxing Canada. As Bujold explained, he came from a background where the coach was all-ruling. Teodorescu had trouble following directions from people he thought did not have his fighter’s best interest at heart. There were times when he placed numerous boxers on the national team but was left off the coaching staff for major Games. “He took a lot of heat and not everybody loved him (at Boxing Canada), but that comes with success,” Filane said. “There was a lot of jealousy. He was old school. It was his way or no way. And most of the time he was right, but they don’t like to hear that. Adrian has taught us all how to fight. Now, after a long battle with lymphoma, we’re fighting to save his legacy – Atlas Boxing Club. Adrian is a friend and boxing legend who gave his life to boxing. Now he and his family need us to be in his corner. Please use link below to donate to Adrian’s campaign.